Give your extra wooden hangers a new life beyond the closet with one of these accessible DIY projects. Eventually, we all find ourselves with more hangers than we know what to do with, and when they are not keeping our shirts crease-free, they are taking up valuable inches in our too-cramped storage spaces. Rather than boomeranging your extra hangers into the trash, let them come out of the closet. 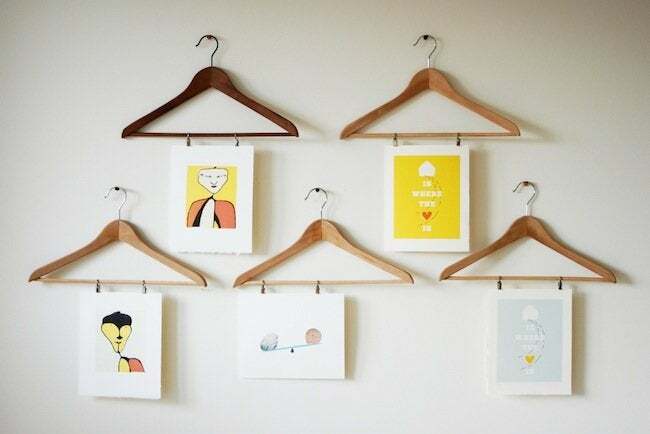 Scroll down to see five favorite DIY hanger projects to inspire your next home hack. Here’s a DIY hanger project for those who want to show off prints and photos in a fun, alternative way. Punch tacks into the wall, then hook on hangers with clips. The minute you get tired of one arrangement, it’s painless to rotate in a totally new display. 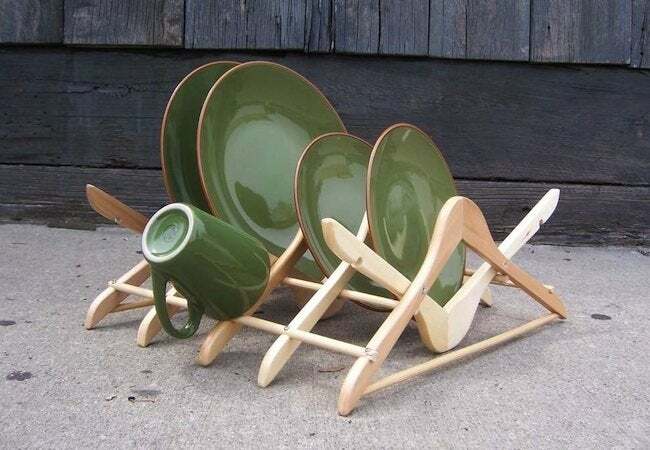 Use your spare wooden hangers to make a drying rack for dishes. First, remove the metal hooks that sit on the closet rod. Then space the hangers at whatever distance you want, securing them in place with screwed-in dowels. The upside-down hangers provide stability as well as a spot for mugs. A “bright” idea for any room is a chic DIY hanger chandelier. 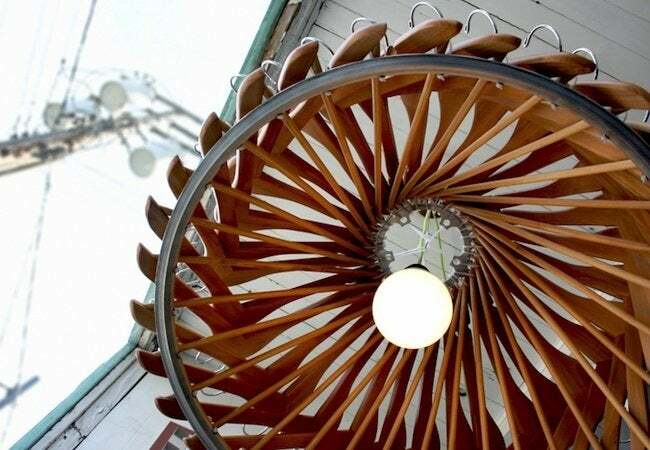 For a look of elegance, stain the hangers before you begin building the fixture, or spray-paint them in a bold color to make this repurposed chandelier even more overtly eye-catching. After a morning shower, don’t leave yourself hanging without a towel! 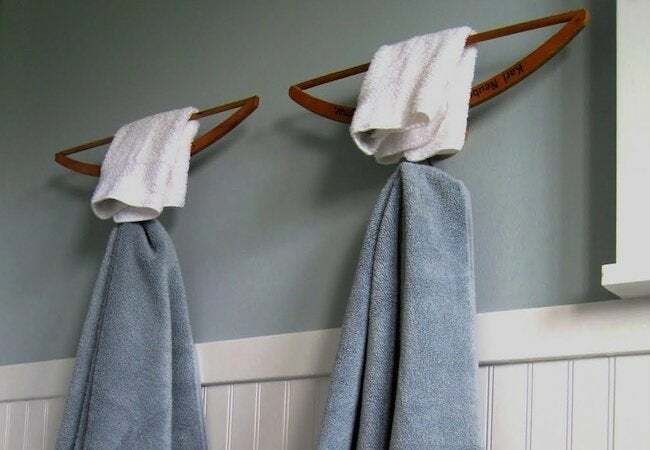 Wall-mount a DIY hanger towel rack. It’s easy: Just nail an upside-down hanger to the wall. The metal hook can support full-size bath towels, while the horizontal dowel holds washcloths. 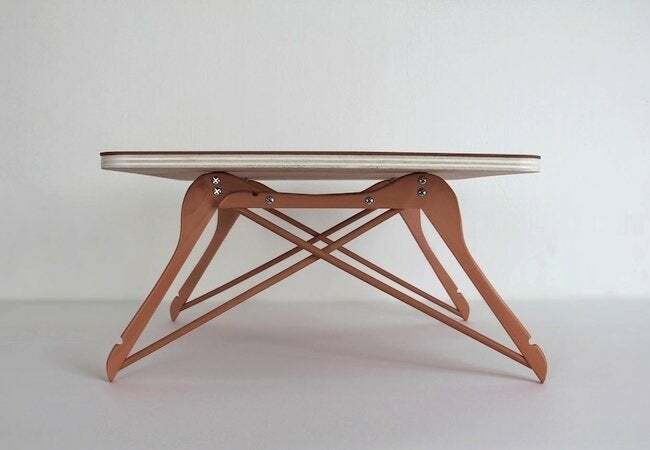 To construct a DIY hanger coffee table, bolt together two pairs of hangers before fastening them as legs under a tabletop of your choosing—a cut-to-size pane of glass, say; considering the compact size of the design, even a serving tray would do the job nicely.